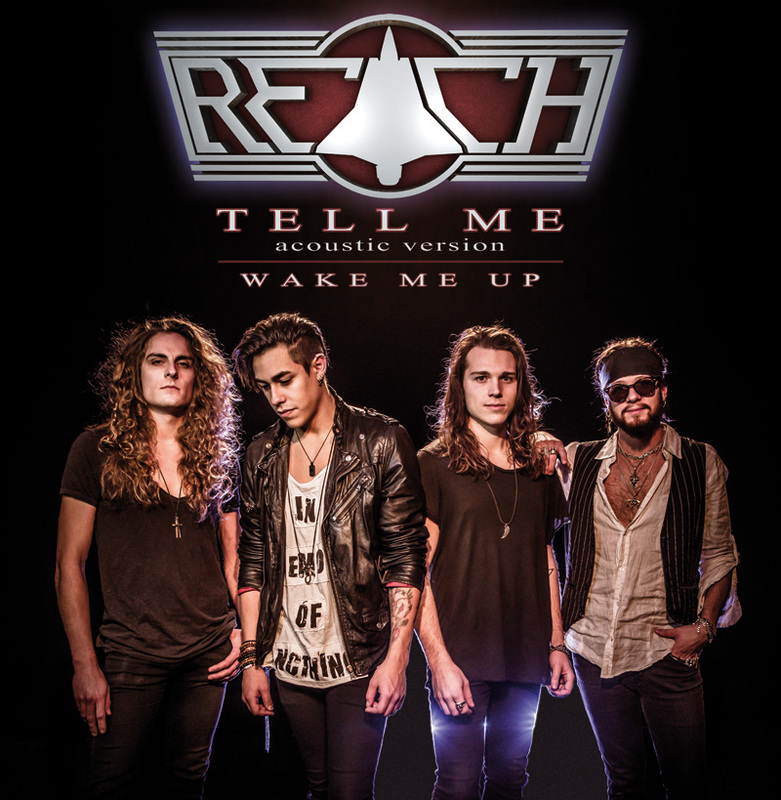 Reach: video acustico di “Tell Me” | SLAM! I melodic hard rockers svedesi REACH hanno pubblicato il video in versione acustica del singolo “Tell Me e della cover “Wake Me Up” (Avicii). I REACH si formano nel 2012 dal drummer Marcus Johansson e dal chitarrista Ludvig Turner. Together they started looking for band members to complete the group, and found the remaining band members in bass player David Jones and vocalist Alex Waghorn. Among the first thing REACH did to reveal this new rock band was to arrange a hard rock cover of Avicii‘s super hit ‘Wake me up‘, in August 2013. A huge success and about one year later the video has over 1.000.000 views AND still counting. REACH‘s music can be described as classic rock with strong melodies and hooks, complemented by their youth energy. You can hear influences from Whitesnake, Scorpions, Europe and Gary Moore in the songs. Ludvig also put the melodic rock on the map in Swedish television in 2014 by making his own interpretations of major hits and being among the final four in the Swedish Idol contest. The band released early 2014 a single ‘Black Lady‘ to show their song writing abilities and proved not being just a cover band. In December 2014 having secured a deal with Sun Hill Production they released a first single ‘You Called My Name‘ from their album ‘Reach Out To Rock‘, which was released on March 4, 2015 via Sun Hill Production/Cargo Records.